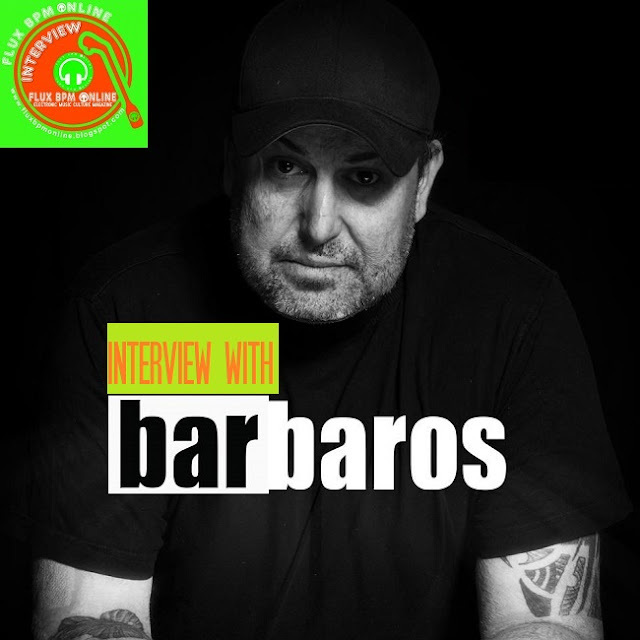 Barbaros, born & based in a small town near Cologne (Germany), took his first steps in DJing in the late eighties. Initially influenced by hip-hop & breakbeat that surfaced onto the German music scene, he became heavily obsessed by electronic music sounds by acts like Front 242, Depeche Mode, and New Order. In 1993 he started as resident in one of colognes greatest clubs which gave him the possibilities to design his own unmistakable musical styles. His unique sound is hard to define but club-goers immediately take root with his progressive and deep sounds in locations throughout Germany and international hot-spots like Argentina, Turkey, Ukraine, Spain and the United States to name a few. From 1996 to 1999 Barbaros has worked at Dierks Studios, one of the better known studio complexes in Germany and has worked closely with Andre Schildt aka Dr. Lunatic and Alex Breuer aka KeeMo (a former part of Perplexer). As a member of the project called "FCKW", a hip hop project, the works were honoured with the award for the "Best Newcomer Group" at the German Music TV "VIVA". In 1999 he founded the North Shore Music Constructions which specialized in electronic music productions and has collaborated with Bodo Felusch, Taucher, Claus Pieper aka GENLOG, Ulli Poepellbaum aka Spacekid, Markus Wesen aka ALIEN. His remix on Ferry by Matziz is out now on Evosonic Records and we found this opportunity to request an interview and we are glad he replied with so much informative answers. Not to be missed for sure! Dimitris: When did you start your involvement with electronic dance music and which music style you are more affiliated with and why? Barbaros: Its started in the mid 90´s. Germany was influenced with Hip Hop from the US, and I was curious of the next step making beats and music with the computer! It started with some House tunes and move over to Trance. At this time I didn't have a preferred style. Dimitris: Did you had the opportunity to attend any kind of music production course or are u completely self taught? Do you consider that is essential for any artist to complete any production course? Barbaros: For me it was all self taught. I am educated as a sound technician for broadcasting, but the producing part is self taught! I think its necessary to learn the basics, but creativity is hard to teach! Dimitris: In which label was your first ever release and how did you manage to attract the attention of the label? Dimitris: Please pick for us your Top 5 tracks that you have produced and you consider them as being highly important for the progress of your career. Barbaros: 1- "Secrets of Loneliness" was my first track and was licensed to some big compilations. That was my first steps in the music business. 2- "Bodo Felusch - Pancake (Barbaros Remix)" is one of my (for me personally) best productions I ever made. I still love to hear & play the track. 3 - "Cloud City" was played by a lot of DJ´s and Radio Stations. 5 - "Lenny Kravitz - Believe in me (Barbaros Bootleg)" made a long journey to Australia. People from down under wrote me mails, and then I realised that my audience is bigger and in far away places that I ever thought. Dimitris: Let's focus on your remix on Ferry. Please tell us from where did you got the inspiration for this remix and what kind of music influences is including? Barbaros: The latest release is a remix for Evosonic Records. Mike asked me for a remix, and I said yeah of course I will produce the remix.The original track is an nice downbeat, ambient track. In the break I used the original in order to include the atmosphere of the track. Dimitris: How long it took you to produce it and was an easy or difficult process?If you have faced any difficulties please tell us about them and how did you resolved them? Barbaros: Usually I need 2-3 days to make any remix. If the original gives me a good feeling, most of the time there are no difficulties. Dimitris: Which was the biggest challenge that you faced during the production of this superb track? Barbaros: The biggest challenge to remix a downbeat track to a club track is not to loose the feeling of the original downbeat version. Dimitris: Can you describe to us the steps that you went through for the production of this remix and of any other remixes? Barbaros: Firstly I listen to all the single tracks that I get. Next I choose the significant sounds from the original, and then I delete all the stems that I don't need. Lastly I add my own sounds and compositions, and at the end I start to arrange the remix. Dimitris: When the remix finished did the label accepted it as it was produced? Barbaros: No, there was no complaints from the labelside. Dimitris: Is the quality of this remix higher than your previous remixes that you did? If yes in what ways this track sounds better than your previous one? Barbaros: I think not! It's different, but not worse or better. Dimitris: Do you have any friends or relatives that you send them the track before sending it to the labels? Dimitris: Can you describe to us the studio that you have produced this remix? What is your favourite hardware and software set up? Barbaros: I am using Logic ProX DAW, and a lot of Software Plug Ins like Sylenth, ANA2 and some of the Komplete Series from Native Instruments. Dimitris: Do you master the track yourself or the mastering is task for the record label? Do you understand mastering as being essential? Barbaros: Most of my tracks are mastered by myself. In some cases, I leave the decision to the label if they got specific wishes. I think mastering is very important because it can infuse more dynamism into the tracks. Dimitris: There is a growing trend of vinyl coming back for good. Would you like to see this track released on vinyl or any other of your future tracks? Do you prefer digital files or vinyl? Barbaros: I got a lot of releases on vinyl, and yes its nice to get some future releases on vinyl. I do not think the vinyl comes back so strong. It seems so, because other genres (Pop, Rock etc) use the Retro Boom. I guess in the club scene it will not rise up. For travelling I prefer digital mediums. But I am still buying vinyl, because I started my career with this pieces of black gold and I like them. Dimitris: Do you have any future releases or remixes planned and when will be released? Dimitris: Please note down your favourite Top 5 tracks at this moment! Dimitris: Can you recall for us your Top 3 best DJ gigs so far and the reasons that made them so special? Barbaros: Nature One / Playing on beautiful sunset set for a nice and friendly crowd. Dido Beach Club was my first Open Air Gig for 2000 People. Dimitris: Can you tell us more about your radio show on Evosonic? Barbaros: I've got my own radioshow on Evosonic.de called "Differences." Every first Tuesday of the month from 20-22h ET. Dimitris: Best piece of advice you got in relation to your career so far and best tip you learnt recently to make your tracks better. Barbaros: The best advice was always looking to other genres and learn from them and last but not least and one of the most important: never be overbearing, and always learn. Dimitris: Please give us here your tips or more elaborated advice for any new artists who may read this interview and wish to get involved with the electronic music industry. Barbaros: Be always curious, respect work from other artists,support your colleagues and have fun with creativity. Barbaros: Many people around any successful artist want to do a lot of money at artists expenses. Money is not everything. The business must remain human. Dimitris: If you are DJ or producer who travels very often to perform Live in various countries can you give us your best travel tips in order to survive the long travelling hours? Dimitris: There is a big movement for revival of classic tracks and as a result of this retro events have boomed with music policy of solely classic tracks. What is your opinion about events or stages only with classics and can you choose for us your absolute 3 favourite classics? Barbaros: I play often this kind of events, but I have to say sometimes its too much. Because there are so many current tracks, which can make the party huge. Please don't live only in the past. Be open minded for new things. On the other hand, its funny to play (not always) some good old tracks in a set. Dimitris: Please give us your messages for our readers? Barbaros: Be patient with what you do, be always curious and have fun with your creative process and do not try to be someone else. Be yourself! Thanks so much to Barbaros for this wonderful interview. Thanks to Chris Maico Schmidt aka Mikerobenics for organising this interview.